IntraMAX is a 100% organic liquid microcomplexed all-in-one multivitamin with 415+ essential nutrients in each bottle. It contains 71 trace minerals along with other health promoting super foods, herbs, fruits, vegetables, probiotics, amino acids, and much more. IntraMax is the most scientifically advanced, clinically proven, health promoting organic nutritional supplement available today! The United States Department of Agriculture (USDA) recommends we eat 7 to 13 servings of fruits and vegetables every day. Most people don't come anywhere close. Clinically proven Juice Plus+ helps you bridge the gap between what you should eat and what you do eat, every day. Fast acting, deep penetrating. Long Lasting cold sensation. Pain relief for muscle sprains, strains, stiff sore muscles, arthritis, joint pain, and more. ECO-FRIENDLY CRYODERM takes great care in creating the highest quality, most efficacious Pain Relievers with minimal impact on the environment. Our packaging is 100% recyclable and made from only two materials: recycled paper and PET plastic. 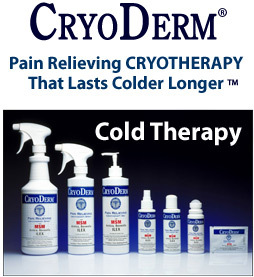 When it comes to the environment, CRYODERM Cares. If we’re all responsible we can leave a better, cleaner, safer environment for our children to enjoy. Together we can make a difference. Biofreeze is a unique, effective pain reliever formulated to provide a variety of benefits for therapy, pain relief, exercise/training and overall comfort. Biofreeze contains ILEX, an herbal extract from a South American holly shrub. ILEX is used around the world in various health & wellness formulations. Biofreeze does not use waxes, oils, aloe or petroleum. The result is a fast-acting, penetrating, long lasting pain reliever. Available in 4oz tube, 3oz Roll-On, and 3oz Spray. Premium quality for professional distribution. 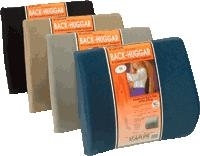 Relieves low back disc pressure, reducing pain and fatigue. Unique 2-plane shape supports laterally and vertically. Relaxing comfort at home, at work or in your car. During sleep, the body is supposed to rest, recover, recuperate and prepare for the next day. For many people, that never happens, and they awaken tired, irritated, on edge, and in worse shape than the day before. Often, a restless night of sleep is the result of an unsupportive pillow. The Chiroflow waterbase pillow may provide the solution!